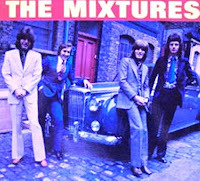 The Mixtures had singles on HMV and CBS during the 1960s and they started life as a “beat group". By 1970 their line up had changed dramatically and most of the members of the original group had departed. The surviving members moved to Fable music where they scored in 1970-71 two successive #1 Australian singles, “In The Summertime” and “Pushbike Song”. The “Pushbike Song” reached #2 in the UK and was #44 in the USA, giving them the unique distinction of being the first Australian group to score an international hit with a song entirely written, recorded and produced in Australia. Two more singles charted before fortunes changed: “Henry Ford” and “Captain Zero”. They also released a single “Never Be Untrue” which sank quietly. 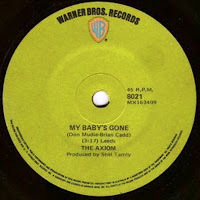 One of their album tracks called “Daddy Brings Home The Bacon” was a song that should have been released as a 7” single as it has the same good-time feel as their bigger hits. "Henry Ford" (Jul. 1971) was their third single for Fable music but it was only moderately successful in Australia (#29). The drumming work is spectacular in its intricacy and it would be hard to do unless you were an expert…Don Lebler was by this time the drummer. Don had been in groups such as Axiom - some of his work is evident on the second album that Axiom issued with the timeless single “My Baby’s Gone”. 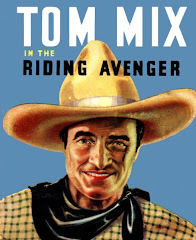 Here is an extended Tom Mix 12” version of “Henry Ford” with its hard to replicate drum rhythms. Note, there is a compilation CD of 20 of their hits available as of 2008 (possibly at Sanity Music or JB Hi-Fi). 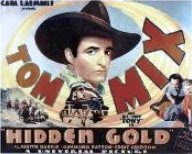 Tracks include: 1. The Pushbike Song 2. Call Me Do 3. Travelling Song 4. I Wanna Go Home 5. Love It Life 6. Oh, Mr Jones 7. In The Summertime 8. Never Be Untrue 9. This Song's For You 10. Hobo's Hideaway 11. Daddy Brings Home The Bacon 12. Here Comes Love Again 13. Henry Ford 14. Hit Me On The Head 15. Fancy Meeting You Here 16. It Ain't Easy 17. Where Are You 18. Gotta Be A Free Man 19. Home Away From Home 20.Captain Zero. MAKE SURE YOU BUY IT! There is more music from ex-Mixture Mick Flynn at download No.21 where he became a member of "Pussyfoot" and had the hit "The Way That You Do It".